A growing number of dentists across the country have come to depend on a relatively new whitening process, and now the process is available in Battle Creek. 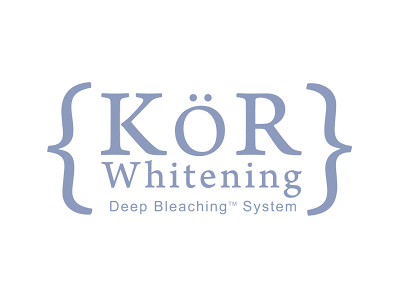 Halonen Family Dentistry is offering the KöR Whitening Deep Bleaching System. Invented by whitening expert Dr. Rod Kurthy, the KöR system gives a radiantly white yet natural appearing smile. It's so effective that it's the only system recognized in the world that will even whiten tetracycline (dark) stained teeth, long thought impossible. The staff here at Halonen Dentistry is thrilled to bring this whitening technique to our patients. We along with a growing number of dentists across the country agree that the KöR system is the most effective whitening process available in dental care. In this process, we make molds of your teeth to create unique, highly comfortable KöR Whitening Trays for each patient. Once the trays are ready, you return for an initial treatment at our clinic, followed by two weeks of home treatment. The home treatment consists of filling the whitening trays with the KöR deep-cleaning gel and wearing the trays while you sleep. Afterward, you need only periodic home touch-up treatments to keep your teeth brilliantly white. There can be discomfort, though after years of development and clinical testing, the KöR whitening gel produces low to no sensitivity with most patients. The testing shows that patients who experience some sensitivity to the KöR treatments normally don't feel more than 10 percent of the sensitivity and pain they would feel from other whitening gels. Is this the right treatment for you? It doesn't hurt to ask during your next visit to Halonen Family Dentistry. We can help you determine if the KöR Whitening System is right for you.